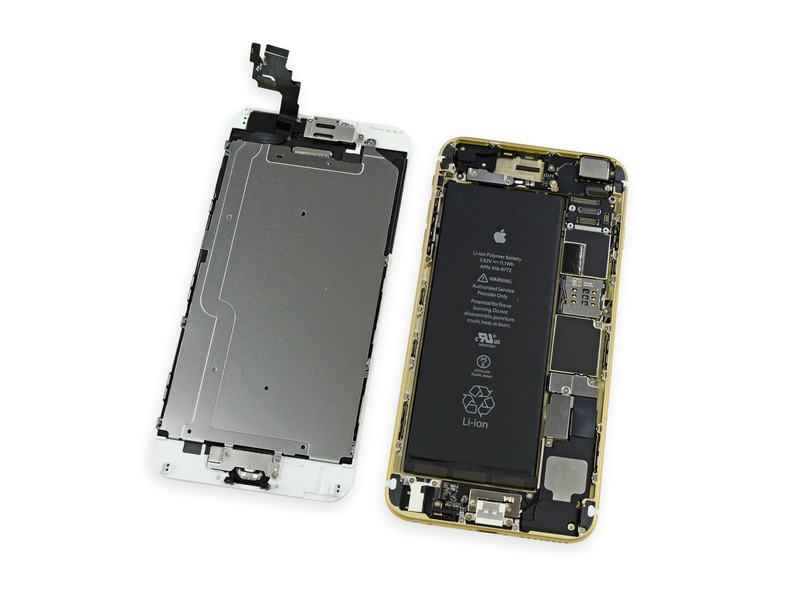 What's Inside the iPhone 6 Plus? Apple repair company iFixit is traditionally the first to get inside Apple’s new iPhones every year, and it continued its run today after hosting a live teardown of the new jumbo-sized iPhone 6 Plus. 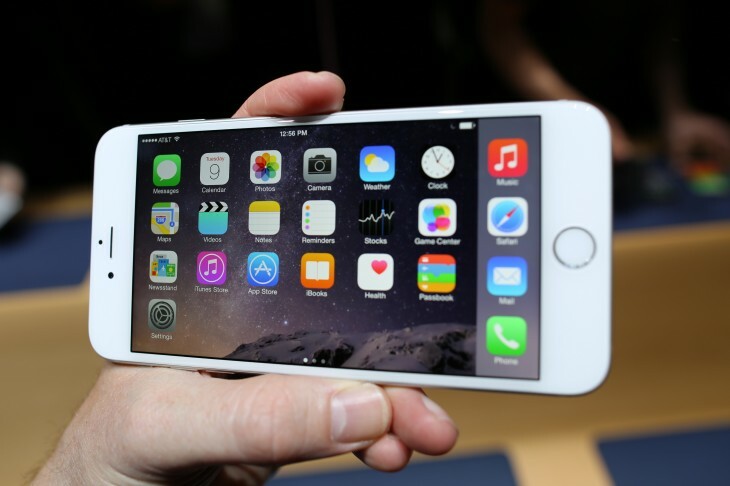 The company is planning to look at the smaller iPhone 6 next. Its most notable discovery is the phone’s 1 GB of RAM. Of course, iFixit spent time looking at the huge, 2915 mAh battery inside the 5.5-inch device — its nearly double that of the iPhone 5s, and it even surpasses the battery inside Samsung’s Galaxy S5. 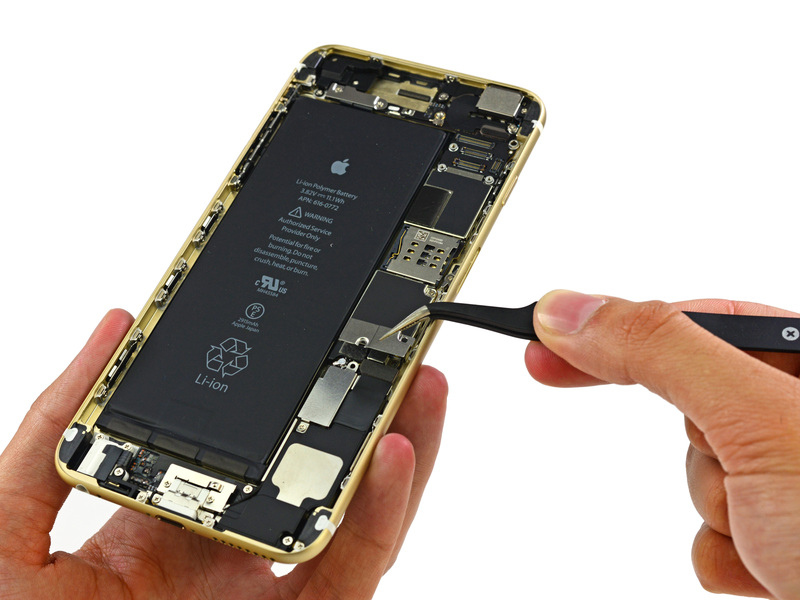 Overall, iFixit gives the device seven out of ten for repairability. It says the display is easier to remove and the fingerprint sensor is located in a more sensible location. But Apple continues to use proprietary screws (iFixit has the gizmos to open them) and doesn’t share repair info with shops or the public — that, folks, is why customers are advised not to open their phones themselves.